Developer Kells of Catbean Games chats about her upcoming game Calico and its adorable, fluffy cats as well as the inspiration behind the game. Have you ever wanted to play a game where all you had to concern yourself with was being an awesome magical girl and playing with fluffy cats? You're in luck. 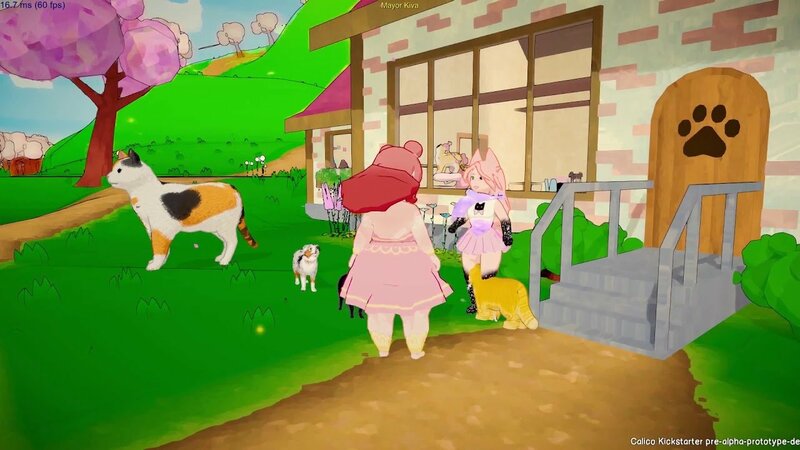 "In Calico you, a darling young magical girl learns she has been given her distant aunt’s old cat-café along with a harrowing and adorable task; Make the town’s cat-café active and full of cuddly creatures again! You will journey to a town of Magical Girls and other fantastical friends to fix up the cat cafe, as well as filling it with furniture, decorations, and most importantly CATS!" Where did Kells get the idea from, though? "It's basically a huge wish fulfillment game. It's basically everything I want in the world put into a game," she admitted during our interview at GDC 2019, which you can see in the below video. There's a wide variety of animals, including birds, lizards, and just about anything people love, Kells explains during the interview, which definitely makes it sound like an awesome little adventure for anyone who has a soft spot for adorable living beings. There are plenty of them in this game, from the sound of things. Kells made all the art, which she says she didn't intend to make similar to Okami, but it just kind of happened. "Okami is my favorite game, and the game kind of turned out Okami-esque. I wanted it to be very soft, make you happy, and be cuddly and cozy." "I really wanted it to be cute and cozy and make you happy!" said Kells. It definitely looks like a game that has the power to do so. Enjoy the adorable, fluffy antics, but don’t forget to visit the Shacknews YouTube and GamerHub TV YouTube channels for more exclusive content from GDC 2019. There are plenty of other cozy, relaxing things to be found there, if game developer interviews are your idea of cozy, after all.